Hilarious!! Ever been here before? Combat has nothing on some encounters with Christendom!! Maybe that guy ought to break out his Bible and show them that at LEAST seven times in the Torah is explicitly says….. NAH! RUN! 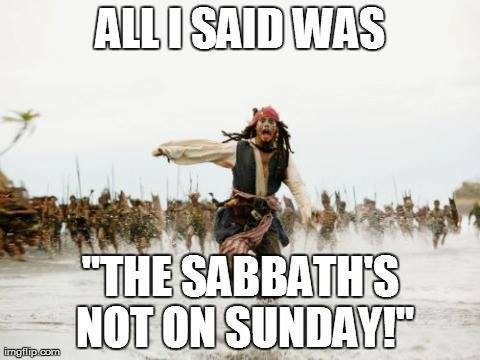 This entry was posted in Sabbath and tagged Caribbean, hebrew roots heresy, Lord's Day, natives, pirates, Sabbath, Torah Shabbat. Bookmark the permalink.